Last weekend I was at the SCWBI New England annual conference, co-directed by my writing-group colleagues Greg Fishbone, Kathryn Hulick, and Marilyn Salerno. At that conference I debuted a new workshop titled “Milestones to an Exciting Plot,” in which I tried to leave behind the three-act structure in favor of something less predictable. This is awesome - thank you - I'm just plotting at the moment and I'm going to try this today!! I saw this on tumblr AmandaonWriting, you have done an exceptional job! I studied plotting with the amazing Jim Frey (How to Write a Damn Good Novel) and this is a fantastic schematic. 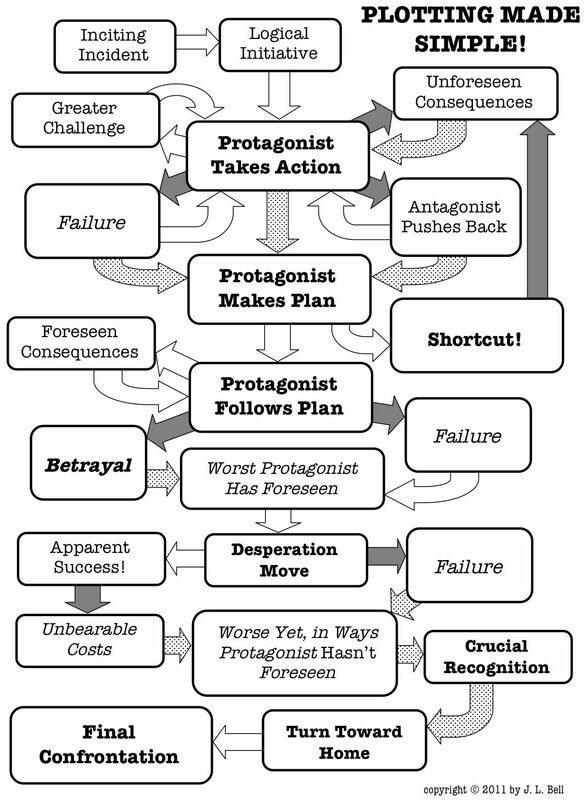 I've plotted out my second novel with this and it profoundly helps... THANK YOU! A Peek at Oz in Peekskill?